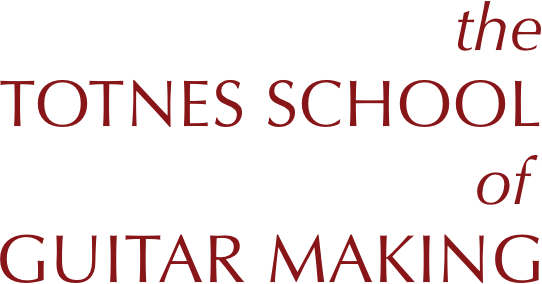 The Totnes School of Guitarmaking is the UK's longest running independent luthiery school, establishing a reputation that has brought students from all over the world to the workshop in South Devon for the last 30 years. 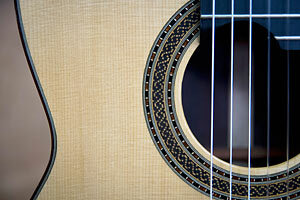 We offer 12 week, full-time guitar making courses for up to five people at a time. Students each build their own instrument from the design, through all stages of construction, including inlay, set-up and finishing using traditional methods. Almost any kind of guitar or related instrument can be built at the school. Whether building an instrument for the first time or fine tuning existing skills students are encouraged to aim for the highest quality of workmanship. Beautiful work and fine craftsmanship are regularly achieved. The course is open to beginners and advanced students alike. For some it is the beginning of a life-long interest which may, or may not, be professional. For others it is an opportunity to make a guitar just once - to bask in the pleasure of having and playing a wonderful instrument you yourself have made. The minimum age is sixteen with no upper age limit. 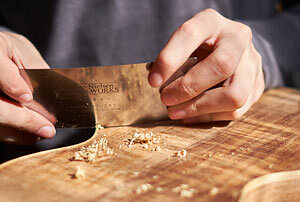 The only qualifications for admission to the course are wanting to build a guitar, and being willing to work at it. 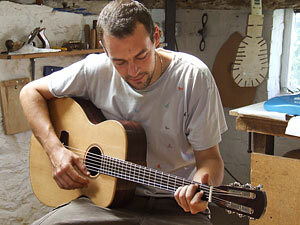 The Totnes School of Guitarmaking was established in 1985.